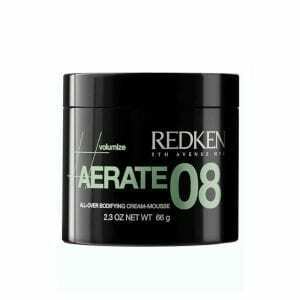 Get Redken Aerate 08 Bodifying Hair Cream-Mousse, a breakthrough product that combines airy foam with cutting-edge conditioning agents. This unique styling tool delivers deep hydration that doesn’t weigh down bounce or diminish volume. 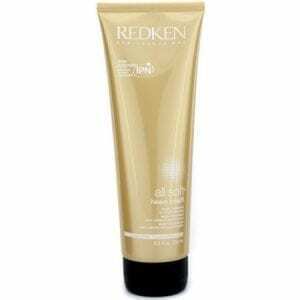 With this mousse cream, hair feels soft, looks shiny and stays in place with a medium hold. Packed with UV filtering agents, this innovative mousse also protects hair from environmental damage. 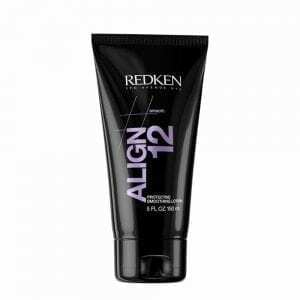 Redken Align 12 Protective Smoothing Lotion transforms frizzy, curly hair into silky soft straight hair. This luxurious cream not only tames unmanageable hair, it strengthens each strand and delivers heat protection. Blowouts and other styles keep their shape with a medium hold. Heavy Cream Super Treatment is a rich, moisturizing cream that intensely softens dry, brittle or coarse hair. 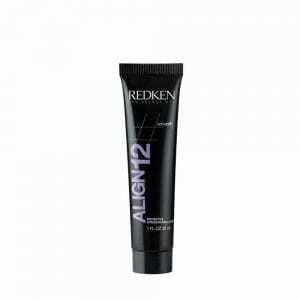 Redken All Soft Softening Shampoo includes Redken’s exclusive RCT Protein Complex to treat hair from the root, to the core, to the tip. The All Soft care system with omega-6 enriched argan oil nourishes for intense softness. Hair is silky soft with increased manageability, suppleness and shine. 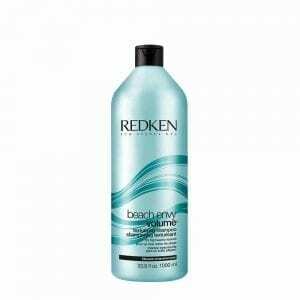 Redken Beach Envy Volume Texturizing Conditioner delivers the carefree look you want, whether on the beach or when you’re somewhere else just dreaming about it. This conditioner helps create tresses with loose waves and texture for that ocean-ready look. And though the formula is lightweight, it adds gorgeous body and volume to hair. It’s the perfect partner for Beach Envy Volume Texturizing Shampoo. Redken Beach Envy Volume Texturizing Shampoo is a must-have for surfer girls or anyone else wanting beach-inspired style. It cleanses hair while boosting texture, helping to create those head-turning, loose waves in your locks. 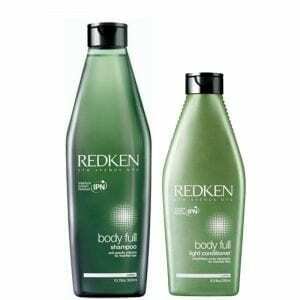 The shampoo adds gorgeous body, and pairs ideally with Beach Envy Volume Texturizing Conditioner. 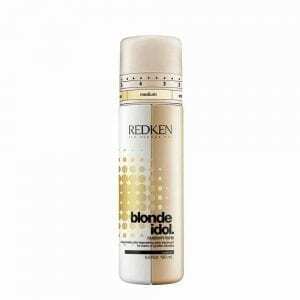 Redken Blonde Idol BBB Spray is your go-to styling conditioner when you want everything in one convenient bottle. Give color-treated hair uniform moisture and strength from roots to ends. This shine-boosting conditioner protects against heat damage while styling and provides instant manageability to tangled or frizzy locks. Get smooth, silky and unmistakably healthy-looking hair. 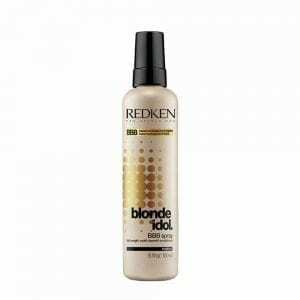 Redken Blonde Idol Custom-Tone Conditioner Gold for Warm Blondes is a unique, adjustable color-depositing conditioning formula that helps neutralize brassy tones. Warm-tone blonde or platinum colors stay brighter longer for preserving tone quality in between color treatments. Apply for a deep conditioning that strengthens color-treated hair. 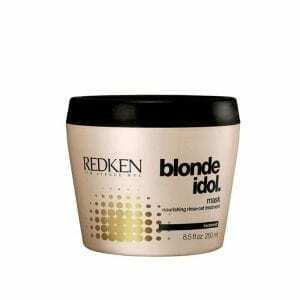 Treat your hair to spa-like rejuvenation with Redken Blonde Idol Mask. Ideal for nourishing blonde color-treated hair, this lightweight gel evenly nourishes hair from root to tip. 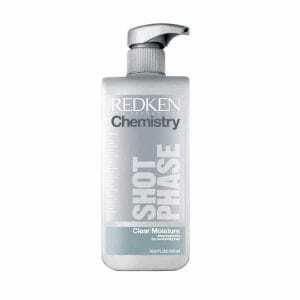 Target damaged areas to boost hair hydration and improve overall softness. After rinsing, hair is left with a high-shine finish and feels healthier than ever. 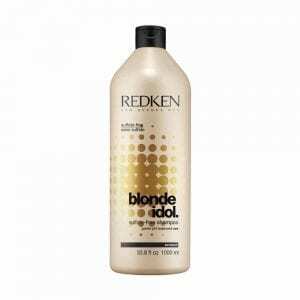 Give blonde color-treated hair some tender loving care with Redken Blonde Idol Shampoo. This gentle shampoo cleans hair without compromising color. Soften hair with this lightweight and moisturizing pH balanced formula that is sulfate free. Lather on and rinse out for noticeably softer locks. Boosts volume and adds shine, Uses an ingenious Non-Stop Volume Complex, along wheat extract, cotton and other natural ingredients, Detangles hair, Transforms fine, limp and weak hair into healthier, fuller hair. Anyone with thinning hair can instantly benefit from Redken Cerafill Defy Scalp Energizing Treatment For Normal To Thin Hair. This treatment stimulates the scalp and strengthens hair fiber to prevent breakage. 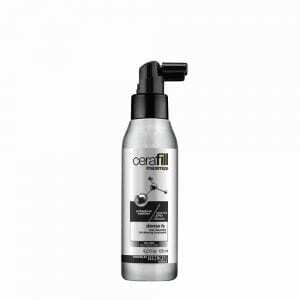 Redken Cerafill Defy Scalp Energizing Treatment For Normal To Thin Hair also nourishes and promotes a healthy scalp environment. The easy application nozzle provides targeted usage. 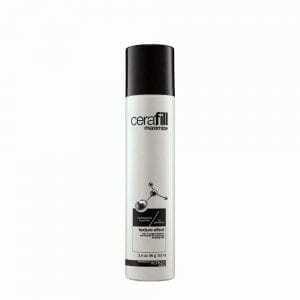 Redken Cerafill Defy Scalp Energizing Treatment For Normal To Thin Hair is safe for color and chemically treated hair. Stimulate hair growth with Redken Cerafill Defy Scalp Energizing Treatment For Normal To Thin Hair. This scalp treatment strengthens to prevent breakage and hair loss. 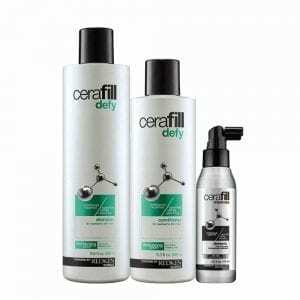 Improve the appearance of thin hair with the Redken Cerafill Defy Hair Thickening System Kit. This kit is the perfect solution to thinning hair. 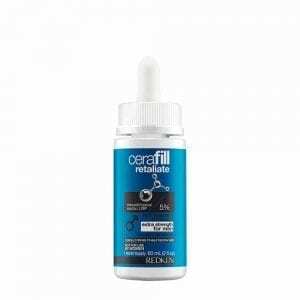 Anyone with thinning hair can instantly benefit from Redken Cerafill Maximize Dense Fx Hair Diameter Thickening Treatment. This treatment plumps up existing hair to increase diameter by 9% that is similar to gaining up to 9,000 more hairs after one use. 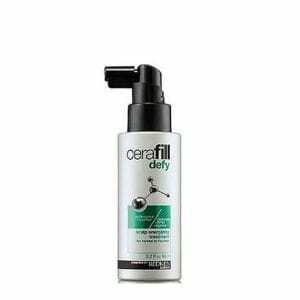 Redken Cerafill Maximize Dense Fx Hair Diameter Thickening Treatment instantly plumps each strand to create fullness and density while it strengthens hair fiber to prevent breakage. 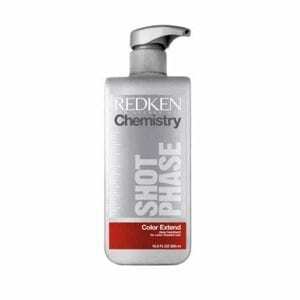 This thickening treatment for thinning hair also nourishes to promote a healthy scalp, and is safe for use on color and chemically-treated hair. Anyone with thinning hair can benefit from Redken Cerafill Minoxidil Topical Solution for Men 5%. Redken Cerafill Minoxidil Topical Solution for Men 5% is clinically proven to help regrow hair and revitalize hair follicles This topical solution is ideal for men with hereditary hair loss. Anyone with thinning hair can benefit from Redken Cerafill Minoxidil Topical Solution for Men 5%. Redken Cerafill Minoxidil Topical Solution for Men 5% is clinically proven to help regrow hair and revitalize hair follicles This topical solution is ideal for men with hereditary hair loss. It takes time to regrow hair, results may be visible for men after using Minoxidil regularly for 2-4 months. The amount of hair regrowth is different for each person. Minoxidil will not work for everyone. Stop using product if you do not see hair regrowth after 4 months and see your doctor. Anyone with thinning hair can benefit from Redken Cerafill Minoxidil Topical Solution for Women 2%. Redken Cerafill Minoxidil Topical Solution for Women 2% is clinically proven to help regrow hair and revitalize hair follicles This topical solution is ideal for women with hereditary hair loss. It takes time to regrow hair, results may be visible for women after using Minoxidil regularly for 4 months. The amount of hair regrowth is different for each person. Minoxidil will not work for everyone. Stop using product if you do not see hair regrowth after 4 months and see your doctor. 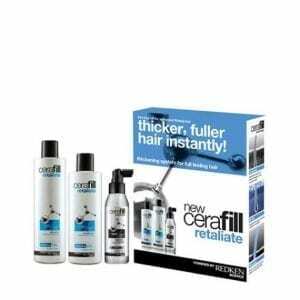 Redken Cerafill Retaliate Hair Thickening System Kit promotes a healthy scalp for men and women with thinning hair. This kit strengthens hair to prevent breakage and hair loss. Redken Chemistry Shot Phase – All Soft Deep Treatment has gold camelina, avocado oil, and olive oil to provide intense softness, replenishment and strength to restore silkiness and shine. Specialized ingredients compensate for missing components in the hair. Every shot contains a more concentrated dose of some of the same nourishing ingredients found in the corresponding take-home haircare regimes.